WHAT IS THE LAW OF THE SIN OFFERING? So with that said, let’s read Leviticus 6.24-30, or in the Hebrew Bible Leviticus 6.17-23. LEVITICUS 6.24-30 (H. LEVITICUS 6.17-23) VERSE 24,25(17,18) And The LORD spoke to Moses saying, speak to Aaron and his sons saying, this is the Law of the sin offering. The word Law in Hebrew is TORAH, meaning in this passage, The Laws, Instructions, Teachings, and Guidance of GOD Almighty that all must follow. JOSHUA 1.8, ISAIAH 8.20, ISAIAH 42.21, LUKE 16.29-31, ROMANS 3.31, etc. (LUKE 16.29-31) Obeying The Law of Moses and the Prophets together with Faith in Messiah Yeshua must be obeyed to stay out of hell. Let’s continue with the Law of the sin offering. VERSE 25(18) In the Place where the burnt offering is killed, The LORD said, the sin offering shall also be killed before The LORD. It is most Holy. The burnt offering was also an animal sacrifice. It was burned upon the altar all night until the morning. The altar was before the door of the Tabernacle or the Temple in the courtyard. And the burnt offering was a sweet savor or sweet aroma made by fire to The LORD. The sin offering was for atonement, for the forgiveness of sins. LEVITICUS 6.8-9 (H. 6.1-2), EXODUS 29.18, EXODUS 40.6. The LORD says, the sin offering is Most Holy. Most Holy in Hebrew is KODESH KAH’DAH’SHEEM. meaning the animal sacrificed for the sin offering for atonement is consecrated to The LORD. That is to say, the sin offering is Appointed by GOD, Sanctified and made Holy by GOD, and Dedicated to The LORD GOD. The sin offering for atonement is KODESH KAH’DAH’SHEEM. Most Holy. VERSE 26(19) The Priest who offered the sin offering for sin to The LORD ate it in the Tabernacle or in the Temple called the Holy Place. It was eaten in the courtyard. VERSE 27(20) Whatsoever, and whosoever touched the flesh of the sin offering became Holy. And when any blood of the sin offering was sprinkled upon any garment, the part where the blood was sprinkled was washed in the Tabernacle, or in The Temple. VERSE 28(21) But the earthen vessel, that is a clay pot in which the animal sacrificed for the sin offering was cooked, was broken. Or if the sin offering was cooked in a brass pot, that pot had to be cleansed thoroughly and rinsed with water. I believe because of the Holiness of the sin offering, nothing was to be left and become impure in those vessels. VERSE 29(22) All the males among the Priests ate the sin offering after it was cooked on the altar. It is most Holy. Keep this in mind at The Passover Seder of Messiah Yeshua that Christianity calls the Last Supper. VERSE 30(23) No animal sacrificed for the sin offering for atonement that had any blood remaining in it was allowed to be eaten. The blood and the sin offering was burned completely. Thus the Law of the sin offering is a Law of GOD that is written in The Law of Moses for all mankind to follow. The sin offering was a sacrificed animal that was clean according to GOD’S food Laws. It was killed and its blood shed for atonement for the forgiveness of sins. Clean and unclean animals are described in LEVITICUS 11 and DEUTERONOMY 14. (ISAIAH 52.13) Many Jewish scholars contend that GOD’S Servant in this passage symbolized the entire Jewish People, or a pious minority within the Jewish People who suffer as a result of the sins committed by the Nation Israel. Supporting these interpretations, the scholars say, is the fact that the term Servant generally refers to the Nation Israel as a whole, or a perfect representation of the Nation Israel. Other scholars argue that the Servant in this passage is a specific individual. Targum, the Aramaic translation of The Bible, that is The Tnakh, The Old Testament, and various Midrashim, Jewish commentaries on the Hebrew Bible, identify the Servant in this passage as Messiah, but not Yeshua The Messiah. The scholarly rejections of The Messiah Yeshua as GOD’S Servant are many, and wrong. The Messiah Yeshua is GOD’S Servant in this passage. So yes, in Isaiah 52.13, GOD’s Servant shall deal prudently. In Hebrew, the word for prudently is S’KEEL, or as many Jewish people say, saykhel. Thus The LORD our GOD exiled us from the Land of Israel three times. In 722 B.C.E. to Assyria, 586 B.C.E. to Babylon, and 70 C.E. throughout the world because of our sins and transgressions against The LORD our GOD, because of our lack of wisdom. The Servant The LORD GOD is prophesying of in Isaiah 52.13 is The Messiah Yeshua Who was GOD Himself in the flesh, Anointed by GOD to be our Atonement. He and only He is The One Who dealt prudently with wisdom, Who is exalted and extolled, and very high. (ISAIAH 52.14) Many were astonished and bewildered seeing Messiah’s brutal death on a Roman cross because His appearance was so marred and disfigured, more than any man. And His Form and His Face more than the sons of men. (ISAIAH 52.15) So shall He sprinkle many nations. The Hebrew word for sprinkle is YAH’ZAY meaning to atone. GOD says in prophesy, The Messiah Yeshua will atone for many nations. Messiah Yeshua will make atonement for many people, Jewish and Gentile. And He did 2,000 years ago. Continuing in Verse 15, kings will shut their mouths at Him. That is kings and rulers did not say a word when Messiah was killed. For that which had not been told them shall they see. And that which they had not heard shall they consider. I believe these words mean that the kings and rulers, especially the Jewish kings and rulers will recognize Him, and know Him when and if they enter The Millennial Kingdom in Israel. They will consider and understand Who this Servant of GOD is. None other than Their Messiah Yeshua Who gave His Life for their atonement. And they will learn a lesson in love from The One they despised and rejected. Isaiah 53.3. (GENISIS 6.9) The word Just in Hebrew, as in Noah was a Just man, is STAH’DEEK meaning Law abiding, obeying GOD’S Laws. That is being perfect in the sight of GOD. At this point in our teaching, let’s quickly look at Messiah’s Life and Death, and some of His Teachings leading up to Him being our Sin Offering for our Atonement. (MATTHEW 1.21) The word save in Greek is SOZO also meaning deliver. Messiah will deliver His Jewish People from their sins. Repent means turning from your sins of breaking GOD’S Laws that are written in The Law of Moses, and turning to GOD and obeying them, all of them. The Greek word for fulfill is PLEROO meaning complete. Messiah came to Complete The Law and the Prophets. Not end them. So GOD’S Law of The Sin Offering today is Messiah Yeshua through His sacrificial death, and shed blood on a Roman cross in Jerusalem 2,000 years ago. To be our Atonement. To deliver us from our sins. To start our Walk with The Lord in newness of Life. In Righteousness. Obeying GOD and His Law of Moses. That is the Will of GOD. And that is what GOD requires to enter The Millennium and Heaven, and to have Eternal Life. Posted on November 30, 2014 March 24, 2015 Categories Shabbat MessageLeave a comment on WHAT IS THE LAW OF THE SIN OFFERING? ARE THERE OTHERS WITH THE TITLE MESSIAH BESIDES MESSIAH YESHUA? So with that said, let’s read Leviticus 6.19-23, or in the Hebrew Bible, Leviticus 6.12-16. LEVITICUS 6.19-23 (H. 6.12-16) In the day when the Priest was Anointed, The LORD commanded Aaron and his sons, or in later generations, the High Priest and his sons to offer a grain offering to The LORD. This Statute is perpetual. That is forever when there is a Temple in Jerusalem and The Priesthood to serve The LORD in the Temple. Half of the grain offering was offered in the morning, and the other half in the evening. And The LORD prescribed the exact amount of fine flour for the offering. LEVITICUS 6.21 (H. 14) The grain offering was prepared with oil in a baking pan. And when the offering was fully baked, the baked pieces were offered to The LORD for a sweet savor, or a sweet aroma to The LORD. This was all done in the Tabernacle and later the Temple. All the various offerings will be offered in the Millennial Temple. LEVITICUS 6.22 (H.15) And the Priest who was Anointed from among the sons of the High Priest to succeed the High Priest, that son prepared the grain offering and offered it to The LORD. It is a Statute forever unto The LORD throughout the generations of the Priesthood. And the entire grain offering was made to go up in smoke. LEVITICUS 6.23 (H.16) So too, every grain offering of the Priest was to be burned entirely, and it was not to be eaten. Let’s address GOD’s Anointing, and what it means to be Anointed by The LORD. The word Anoint in Hebrew is MAH’SHAKH that means to rub with oil, and to consecrate. Consecrate means appointed, sanctified and holy. The breastplate, also called the breastplate of judgment was made of the same materials as the ephod with gold, blue, purple, and scarlet, and fine twined linen and needlework. It was four square and doubled, and approximately nine inches square. Twelve stones were set in gold settings of four rows of three having the names of the twelve tribes of Israel. The first row of stones was a sardius, a topaz, and a carbuncle which is a red stone. The second row had an emerald, a sapphire, and a diamond. The third row had a ligure. Perhaps the ligure is a golden sapphire or an orange zircon. Also in the third row of the breastplate was an agate, and an amethyst that is a clear purple stone. The fourth row had a beryl, an onyx stone, and a jasper stone. Exodus 28.15-21. And the urim and thummim were put inside the breastplate. In Hebrew, urim and thummim mean lights and perfections. And the urim and thummim were on Aaron’s heart when he went before The LORD. Exodus 28.30. The Holy Anointing oil was a special formula prescribed by The LORD, and it had a scent of sweet perfume. It was only to be used as The LORD commanded and not for everyday hygienic or cosmetic anointing. Nor did The LORD allow the oil to be duplicated for unauthorized use. Exodus 30.22-33. Let’s address the Anointing of Kings. When a prophet of GOD Anointed a certain man chosen by The LORD to be King of Israel, it was an indication that that person was indeed chosen by GOD to reign over His people Israel. Now to the question, are there others with the title Messiah besides Messiah Yeshua? Yes, there are. The Hebrew word for Messiah is MAH’SHEE’AKH and MAH’SHEE’AKH comes from the Hebrew word MAH’SHAKH that means Anoint or Anointed. MAH’SHEE’AKH or Messiah also means Anointed. Remember, the Anointed of GOD are chosen by GOD and appointed by GOD to a special service for The LORD. And Anointing oil is rubbed on, even poured on the Anointed. Now listen to this. The Hebrew word MAH’SHEE’AKH or Messiah is a Title given to those whom GOD commanded to be Anointed to be Priests, Kings, Prophets, and even the King of Persia, Cyrus The Great. Thus, the Kings of Israel who were Anointed at the command of The LORD were Messiahs of GOD because they were Anointed by GOD to be King over His People. In Hebrew, Thus saith The LORD to His Anointed to Cyrus is; KO AHMAR YEHOVAH LE’M’SHEE’KHO LE’KORESH. LE’M’SHEE’KHO in Hebrew is, To His Anointed, or to His Messiah. This prophesy was spoken by GOD before Cyrus was born, some 200 years before Cyrus became King of Persia. My Anointed in Hebrew is, BE’M’SHEE’KHY. My Anointed, or My Messiah. Let’s examine the Hebrew in this verse. But first, some Bibles read (but not for Himself). Those words are not in the original Hebrew manuscript. But these words are, and they are important. They read, Messiah shall be cut off. In Hebrew, Messiah shall be cut off reads, YEE’KAH’RATE MAHSHEEAKH. Look, I know we all know this, but there are skeptics out there who question or reject the truth that Messiah Yeshua is our Atonement, and also our Messiah, and also GOD Almighty. Messiah Yeshua is GOD’S Anointed, GOD’s Messiah to be our Atonement. That was His Anointing and purpose the first time He came 2,000 years ago, to be our Atonement. VERSE 2 His Anointed in Hebrew is M’SHEE’KHO, His Anointed, His Messiah. ZECHARIAH 6.12-13 The Branch is Messiah The Prince, Messiah The Leader, Messiah The King, and Messiah The Priest. His Name is Yeshua. His Title is Messiah. He is all these. Let’s look at some Prophesies concerning The Messiah Yeshua. (MICAH 5.2(1)) Being from of old, from everlasting means Messiah has no beginning or end. He, the Messiah Yeshua is GOD ALMIGHTY, THE EVERLASTING FATHER. So yes, there are others with the title of Messiah, GOD’S Anointed Kings, Priests, and Prophets. But Messiah Yeshua, The Prince was anointed 2,000 years ago to be our Atonement. And He is also Anointed King and Priest over all the earth at His future return, to establish the 1,000 year Millennial period in Israel that will become like the Garden of Eden, without sin, without curse. And He will build the Temple and destroy the heathen who are the enemies of Israel, and the enemies of the Jewish people. And Messiah Yeshua is GOD ALMIGHTY, The Creator of Heaven and earth and all that is in them. And Messiah Yeshua is Jewish. Posted on November 23, 2014 March 24, 2015 Categories Shabbat MessageLeave a comment on ARE THERE OTHERS WITH THE TITLE MESSIAH BESIDES MESSIAH YESHUA? Shalom. Our teaching this morning will be from Leviticus 6.14-18. In the Hebrew Bible, the reading is from Leviticus 6.7-11. And the title of our message is, Follow Peace With All Men, And Holiness, Without Which No Man Shall See The LORD. So with that said, let’s read Leviticus 6.14-18, or in the Hebrew Bible, Leviticus 6.7-11. The law of the grain offering is a bloodless sacrifice to The LORD. It is a gift to The LORD expressing gratitude and esteem, or thankfulness, respect and admiration for The LORD our GOD. The grain offering was not for atonement. And the sons of Aaron offered the grain offering before The LORD in front of the altar. VERSE 15(8) The Priest took a handful of the choice flour of the grain offering, and the oil of the offering, and frankincense which was upon the grain offering, and turned it into smoke on the altar as a pleasing odor, a sweet savour to The LORD. Frankincense has a fragrant odor of balsam. VERSE 16(9) The remaining portion of the grain offering was eaten by Aaron and his sons with matzah, that is unleavened bread. It was eaten in the Sanctuary, also called the Holy Place, in the Courtyard of the Tabernacle. And GOD’S Law of Aaron and his sons eating the remaining portion of the grain offering continued in following generations in The Temple with the current High Priest and his sons. VERSE 17(10) The grain offering was not to be baked with leaven. The LORD said, I have given it to the Priests for their portion of My offerings made by fire. It is most Holy, GOD said, as is the sin offering, and as the trespass offering. VERSE 18(11) Only the males among the children of Aaron and of the generations of the Priesthood to follow ate of the sacrifice. It is a Statute forever, The LORD said concerning the offerings of The LORD made by fire. And that Statute is only in force when there is a Temple in Jerusalem. And everyone that touched these offerings, The LORD said, became Holy. I used to think, how can I teach Christians and other Gentiles from The Bible where The LORD spoke words like, speak to all the Congregation of the Children of Israel and say to them such and such. Or words like, and now Israel, what does The LORD your GOD require of you? I would think that Christians and other Gentiles are not Israel, nor are they the Children of Israel, nor are they Jewish. After all, I thought, Christians and other Gentiles observe very little of what GOD teaches in The Bible. I thought that Christians and other Gentiles don’t observe GOD’S weekly Sabbath on Saturday. Some do. Christians and other Gentiles don’t observe GOD’S Festivals written in Leviticus 23. They have their own man made holidays like Christmas, and Easter and Halloween, and others. I thought that because Christians and other Gentiles don’t observe GOD’S food laws written in Leviticus 11 and Deuteronomy 14, why would they receive what GOD said to Israel and do it? And I thought, Christianity teaches that GOD’S Laws that are written in The Law of Moses are no longer in force, dead and gone in Christ’s death. So, I thought, why will Christians and other Gentiles receive anything I teach when GOD commanded Israel to obey His Laws, and do them for their good? Then I realized what brought me to The Bible. 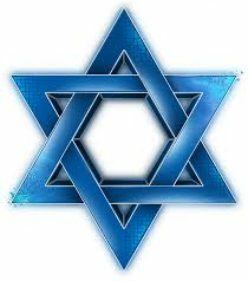 To search out why the Jewish People are GOD’S Chosen People. First I read that GOD chose the Jewish People because He said, “For you are a Holy People unto The LORD your GOD. The LORD your GOD has Chosen you to be a Special People unto Himself above all people that are upon the face of the earth. And I thought that is incredibly special to be Holy to The LORD, to be a Special People to The LORD above all people that are upon the face of the earth. But I thought there must be more to it than that. And finally I found the answer I was looking for in the Prophets. GOD also chose the Jewish People to be His Witnesses. To be GOD’S Witnesses to the world. To give all mankind firsthand accounts about The GOD of Creation. To reveal to the world, to Christians and to all other Gentiles what GOD and Messiah Yeshua has taught us, and shown us in His Word and in His Laws that are written from Genesis through Revelation. And we Jewish People have carried out GOD’S mission by writing in The Bible what GOD requires from His creation, Jewish People, Christians, and all other Gentiles. And that is to Hear what GOD says in The Bible, and Obey His every Word, Matthew 4.4. That there is Only One GOD, and Yeshua The Messiah is that One GOD. He is The Almighty, Elohim. And We Jewish People have taught mankind about GOD’S love, and the importance for us to love the LORD our GOD, and so much more that is written in The Bible. Then I realized that when GOD spoke to Moses and the Prophets saying, speak to all the Congregation of the Children of Israel, and say to them. Or when GOD said, and now Israel, what does The LORD your GOD require of you? Those words that GOD spoke to Israel are for all mankind to hear and obey. And that makes us Holy to The LORD our GOD. But so few will hear GOD’S Word. And so few will obey it and be Holy. The Bible teaches that GOD is The GOD of the Jewish People, and also the Gentiles. Meaning that GOD, His Word, His Laws that are written in The Law of Moses, and His Messiah Yeshua, and GOD’S love are for all GOD’S creation. Not just for the Jewish People, but for Christians and other Gentiles also. Gentiles are any people not Jewish. A Gentile is a person who is not Jewish. Let’s look at some Scriptures that teach that GOD is The GOD of the Jewish People and also the Gentiles. GOD does not have one Law for the Jewish People, and no law for the Gentiles. GOD has one Law for everybody. And all GOD’s Laws are written in The Law of Moses for the world to obey, for their good. MARK 16.15 The Gospel is a good message, announcing good news especially about The Messiah Yeshua. And The Gospel comes from the Tnakh, The Old Testament. And The Gospel is explained in The New Testament of what Yeshua taught and did. The true Gospel does not change one word, one law, one commandment, or one yud, or one tittle that is written in The Old Testament. Today’s Gospel is full of holes, eliminating The Word of GOD in exchange for man’s fiction. DEUTERONOMY 32.1-2 GOD’S Word and His Law of Moses are for the angels in Heaven, and GOD Himself, and all people that are upon the face of the earth. If what you are being taught, or what you are reading does not line up with Old Testament teaching, you are not being taught the truth. Now to the word Holy, and the great importance of being Holy. Because The Bible says in Hebrews 12.14, Without Holiness, no person will see GOD. And so few teach Holiness correctly. The Hebrew word for Holy is KAH’DOSH. Being Holy is obeying GOD. Obeying every Law that is written in the Law of Moses because those Laws are GOD’S Laws. And being Holy is Obeying every Word that proceeds out of the Mouth of GOD. And that is being pure and clean from sin. And being pure and clean from sin can only be accomplished by obeying GOD, His every Word, and His Laws and Commandments that are written in The Law of Moses. Being Holy is being like GOD, for GOD is Holy. For you and me, being Holy is having atonement, having our sins forgiven through our faith in Messiah Yeshua, and living by Every Word Of GOD in The Bible, and Every Law Of GOD that is written in The Law Of Moses. Being Holy means being like Yeshua Who did no sin, 1 Peter 2.22, because Messiah Yeshua obeyed Every Word of GOD and Every Law of GOD written in the Law of Moses. And Messiah Yeshua is GOD Himself, Elohim, The Almighty. Being Holy is being like the Prophets, The Apostles and Messiah Himself. Being Holy is being set apart from sin, not breaking GOD’S Law of Moses in your walk with Messiah Yeshua. Sin is breaking The Law of Moses. 1 John 3.4. Thus serving GOD in your faith in Messiah Yeshua, obeying all GOD’s Laws that are written in The Law of Moses, makes you Holy unto The LORD your GOD, Chosen and Special to The LORD your GOD, above all the people that are upon the face of the earth. And you have become GOD’S Witness, and you will see The LORD. Holiness is by no means a withdrawal from the world, but by The Holy Spirit of Truth in you that GOD has given you because of your faith in Messiah Yeshua, and your obedience to Torah, The Law of Moses, Acts 5.32, John 14.23. You are a Child of GOD in the world, dedicated to The LORD your GOD as were the Prophets, the Apostles, and Yeshua The Messiah Himself. LEVITICUS 20.26 Being Holy means GOD has separated you from sinful people that you should be His. How great is that? And after the 1,000 year Millennium, the Holy will live in the Holy City New Jerusalem which is the New Heaven and the New Earth. And we will be with The LORD GOD forever and ever. And we Will see The LORD Face to face, and we will be in His likeness. REVELATION 21.1-4, REVELATION 22.1-5, 1 JOHN 3.2, PSALM 17.15. As a point of interest. The word Saint in Hebrew is K’dosh meaning Holy One. Think on that for a moment. One can be a Saint or a Holy One, but a Saint must be Holy. So without Holiness, no person will see The LORD. But being Holy as taught by the LORD GOD in the Bible, you Will see the LORD, and you will dwell with Him forever and ever here on earth, in the Millennium and in Heaven. Posted on November 16, 2014 March 24, 2015 Categories Shabbat MessageLeave a comment on FOLLOW PEACE WITH ALL MEN, AND HOLINESS, WITHOUT WHICH NO MAN SHALL SEE THE LORD. HOW CAN WE HAVE MESSIAH’S PEACE IN A WORLD FILLED WITH GRIEF AND TRIBULATION? Shalom. Our teaching this morning will be from Leviticus 6.8-13 or in the Hebrew Bible, Leviticus 6.1-6. And the title of our message is, How Can We Have Messiah’s Peace in a World Filled With Grief and Tribulation? And with that said, let’s read Leviticus 6.8-13, or in the Hebrew Scriptures Leviticus 6.1-6. LEVITICUS 6.8-9 (H. 6.1-2) The LORD calls this sacrifice The Law of The Burnt Offering because the animal sacrificed remained burning on the altar all night to the morning while the fire continued burning the sacrifice. I believe that the continual burning of the burnt offering was a reminder to the People of GOD’S requirement for atonement for the forgiveness of their sins. Atonement is necessary today, daily, and forever for everybody. It’s uncertain what peace offerings mean. The Hebrew for peace offerings is SHELAMIN. But it’s possible that animals sacrificed for peace offerings to The LORD were for giving thanks to The LORD, and to praise Him. My question is, How can we have Yeshua’s peace, but at the same time deal with the tribulation, grief and pain that surround us, and at times, enter into our lives? I’ll try my best to answer that question. Peace comes from GOD. And GOD makes peace. GOD formed the Light, He creates darkness. GOD makes peace, and creates evil. The LORD does all those things. ISAIAH 45.7. And Yeshua is The LORD. Messiah Yeshua is The Prince of Peace. He is The Mighty GOD, The Everlasting Father, and when Messiah returns, peace will have no end. ISAIAH 9.6-7(5-6). The chastisement of our peace was upon Messiah. And with His stripes we are healed. That is, the punishment that Messiah endured to make Atonement for us, obtained peace for us. ISAIAH 53.5. Mercy and truth are met together. Righteousness and peace have kissed each other. That is, GOD’s mercy is given to those who live by GOD’s Truth. And the righteous by being obedient to GOD and His Laws that are written in The Law of Moses receive GOD’S peace. PSALM 85.10. Yeshua says, We might have peace in Him. But in the world we will have tribulation. But how can we have peace in Messiah with so much tribulation and trouble in the world? Let’s look at JOHN 16.33. We will address Messiah overcoming the world later in the message. But yet we have peace in Messiah. How? But how do we grab hold of GOD’s peace in a world of pain, and tribulation, and grief? How can we have GOD’S peace when there is no peace in the world when the whole world lies in wickedness? There are conditions for GOD’S peace as there are conditions for GOD’S love. GOD’s love and His peace are NOT unconditional. GOD’S peace and His love require action on our part. GOD’S peace and His Love require works on our behalf. And here are GOD’s conditions for His peace and His love. Judaism calls the words written in Deuteronomy 6.4 The Shema. Shema is a Hebrew word that means to hear intelligently, and obey. When speaking of The LORD GOD, Shema means to hear GOD intelligently, every word He speaks in The Bible, and obey Him. The Shema is, “Hear O Israel, The LORD our GOD, The LORD is One.” In Hebrew, Shema Yisrael Adonay Elohaynu Adonay Ekhad. These words are the central most important teaching in The Bible. Obey every Word GOD speaks in The Bible, Israel, and there is only ONE GOD. I would like to make this shocking but true statement to Gentiles who believe in Yeshua The Messiah, or Jesus Christ. Yeshua says in John 4.22, “Salvation is from the Jews.” He also says in Matthew 7.13 and14, ” Enter in at the strait (narrow) gate; for wide is the gate, and broad is the way that leads to destruction, and Many there be which go in by it. Because strait is the gate, and narrow is the way which leads unto life, and Few there be that find it.” Salvation comes from the Jews, Messiah says. Meaning that salvation is given to the Gentile Believers by living their lives according to every word that GOD gave the Jewish People in the Bible. Gentile Believers must live by every Law that GOD gave to Moses that includes the Saturday Sabbath, The Festivals of the Lord written in Leviticus 23, the food laws written in Leviticus 11 and Deuteronomy 14 and every other Law that GOD gave to Moses. Those are GOD’S Laws. And they are not grievous. 1 John 5.3. And all GOD’S Laws are written in The Law of Moses. That is why the gate is narrow which leads to Life and so few find it because so few obey GOD. So few obey His Laws. Gentiles are taught their own man made laws, thus rejecting GOD’S Laws that prevent Gentiles from entering Eternal Life. However GOD will save you if you bless The Jewish People. GENESIS 12.3, MATTHEW 25.31-46. So, how do we have peace in GOD with so much grief in this world? (John 16.33) What does Yeshua mean when He says, “I have overcome the world”? Yeshua The Messiah is GOD Almighty. He created the heavens and the earth and all that is in them. JOHN 1.3. He created satan and his demons and He rules over them. EZEKIEL 28.13. GOD overcame the world and all the evil that is in it a long time ago. Evil in His Presence is nothing to defeat. And by defeating and ruling over evil, you and I can be of good cheer, that is of good courage. We can believe The LORD knowing He will always deliver us, and give us peace. Therefore Yeshua says in John 14.27, “Let not your heart be troubled, neither let it be afraid.” And that is peace. We have peace in The LORD because He always helps us. We have peace in The LORD because He always delivers us from our fears. PSALM 34.4. We have peace in The LORD because The LORD has set His love upon us and delivers us. We have peace in The LORD because He answers us in times of difficulty and trouble. PSALM 91.14-15. We have peace in The LORD because we need not fear evil news, PSALM 112.7. We have peace in the LORD because GOD is our Salvation. ISAIAH 12.2. We have peace in The LORD because GOD is with us. ISAIAH 7.14, ISAIAH 41.40. We have peace in The LORD because we can boldly say, The LORD is My Helper, and we will not fear what man or anything shall do to us. HEBREWS 13.6. The only ONE we fear is GOD Himself. MATTHEW 10.28. So to repeat what Yeshua says to comfort us, and give us confidence and courage, “Peace I leave with you. My peace I give unto you. Not as the world gives do I give unto you. LET NOT YOUR HEART BE TROUBLED, NEITHER LET IT BE AFRAID.” And that is your peace. Posted on November 9, 2014 March 24, 2015 Categories Shabbat MessageLeave a comment on HOW CAN WE HAVE MESSIAH’S PEACE IN A WORLD FILLED WITH GRIEF AND TRIBULATION? SINNING AGAINST THE LORD, AND ATONEMENT. Shalom. Our teaching this morning will be from Leviticus 6.1-7. In the Hebrew Bible, those Scriptures are in Leviticus 5.20-26. And the title of our message is, Sinning Against The LORD, And Atonement. So with that said, let’s read Leviticus 6.1-7, or in the Hebrew Bible, Leviticus 5.20-26. Sin, sinning and sinners are written in The Bible 732 times. Transgress, transgressed, transgression, transgressor and transgressors are written 195 times in The Bible. Iniquity and iniquities are spoken of 336 times in The Bible. Evil is spoken of 644 times in The Bible. Wicked and wickedness are written in The Bible 498 times. Unrighteous and unrighteousness mean evil, iniquity, sin, perverseness, wicked and wickedness, and the words unrighteous and unrighteousness are written in The Bible 31 times. Ungodly and ungodliness are written in The Bible 54 times. Unholy, unjust, and unlawful are written 25 times in The Bible. Thus sin and those words equivalent or equal to sin are written 2,515 times in The Bible. Yet the explanation of sin is rarely taught, and most people have no idea what sin is whether sin is called sin or transgression, or iniquity, or evil, or wickedness, or unrighteousness, ungodly, unholy, unjust or unlawful, they are all sin. Sin is almost never explained though GOD says, Whosoever has sinned against Me, him will I blot out of My Book of Life. Meaning, him will I blot out from having eternal life in Heaven. Exodus 32.33. The leader of a Messianic Fellowship told his Congregation, “I never speak about sin because if I do, my entire congregation will leave.” Perhaps he was right, and perhaps that’s the reason sin is not taught. John writes, the whole world lies in wickedness. 1 John 5.19. Perhaps there would be less wickedness in the world if sin was taught from the pulpit, teaching that sin is transgressing GOD’S Laws that are written in The Law of Moses. And that would require those in the pulpit to teach The Law of Moses along with our faith in The Messiah Yeshua. That might change the world. And there would be less wickedness and more obedience to GOD. But by the grace of GOD, The LORD has given us the gift of atonement for the forgiveness of our sins. Not according to the teaching of man, but according to The Laws of GOD. And GOD’S atonement for the forgiveness of sins is faith in Messiah Yeshua, followed by obedience to GOD’S Law of Moses. Without obedience to The Law of Moses, there is no atonement. Likewise, without faith in Messiah Yeshua, there is no forgiveness of sins. Let’s return to LEVITICUS 6.1-7, or in the Hebrew Bible, Leviticus 5.20-26. I’ll try to simplify those verses of Scripture. VERSE 2 (5.21) If a soul sins and commits a trespass, a trespass is a sin against GOD, and lies to his or her neighbor, that is, he or she lies to anyone regarding a deposit or payment for something given to him, or a loan, or robbery, and has deceived his neighbor by defrauding him, VERSE 3(5.22) or he found something lost and lied about it, and swears falsely about anything that a person can sin by, VERSE 4 (5.23) then it shall be because he has sinned and is guilty because of robbery, fraud, or the deposit that was entrusted to him, or the lost thing that was found, VERSE 5(5.24) or anything else about which he swore falsely by lying. He shall return it to the owner, or repay the full amount, and shall add 20% to it in the day of his trespass offering. Our trespass offering is the sacrificial atoning death of The Messiah Yeshua. Isaiah 53.10. Thus the guilty person should return whatever was stolen, lost, or the deposit money that was entrusted to him plus 20% of the value without delay. The misuse of GOD’S Name is probably the most common form of violating and dishonoring GOD. Swearing falsely using GOD’S Name makes GOD a party to the lie. The most important Biblical Names of GOD are Yehovah, Elohim, and Yeshua The Messiah. Yehovah is The Name of GOD among many of His Great Names. Yeshua The Messiah, or Jesus, or Christ are spoken often defaming GOD. ELOHIM is GOD. However, ELOHIM in Hebrew is the plural for GOD meaning GODS. But when speaking of The GOD of Creation, The Holy One of Israel, ELOHIM is always used in the singular, GOD. ELOHIM is GODS because ELOHIM is The ONE GOD. ELOHIM is The Father, The Son, The Messiah, The Spirit, The Holy Spirit. He is Melchizedek. ELOHIM is often The Angel of GOD, The Glory of GOD, and so much more. But all THE ONE GOD and THE SAME GOD. And Messiah Yeshua is ELOHIM. And misusing GOD’S Name violates Him, and dishonors Him. Thus it is dangerous to use The LORD’s Name in vain, or swear falsely by The Name of The LORD your GOD. EXODUS 20.7 is the third Commandment in The Ten Commandments. Let’s read it. Some Bibles read, You shall not swear falsely by The Name of The LORD your GOD, for The LORD will not clear him who swears falsely by His Name. The LORD holds that person guilty. Profaning The Name of The LORD is to defile His Name, and pollute it. So one might ask, teacher, do you have any advise? Yes, I do. Don’t use The LORD’s Name in vain, ever. Don’t swear falsely using GOD’s Name ever. Don’t blaspheme GOD ever. That is cursing The LORD GOD. And if you speak foolishly, repent quickly, and start living an obedient life to The LORD your GOD. And here are some Scriptures to remember for the rest of your life. JOSHUA 1.6-9, PSALM 1.1-6, DEUTERONOMY 28.1-16, etc. Enlightened means that the person came to believe in Yeshua The Messiah, and trusted in the Heavenly Gift of Atonement, and became partakers of The Holy Spirit Whom GOD gives to those who obey Him by keeping His Law of Moses. ACTS 5.32, JOHN 14.23, and have tasted the good Word of GOD, and the powers of the world to come. I would have to say, having the knowledge of eternal life. But if they fall away by backsliding, returning to, or continuing in their old sinful habits of continuously breaking The Law of Moses, or denying The LORD Yeshua The Messiah, they are in grave danger of losing their Salvation. The writer uses the word impossible. The same loss of Salvation is taught in Yeshua’s parable of the sower. Yeshua teaches that the wicked one takes away that which was sown in his heart, The Word of GOD, or because there is no root in the person, and when tribulation or persecution arise because of The Word of GOD, they are offended and fall away into sin. Or the cares of the world, and the deceitfulness of riches choke The Word and they become unfruitful. They lose their Salvation. And again, The LORD GOD teaches how Salvation can be lost in EZEKIEL 18.20-32. MATTHEW 25.32 All the nations are all the Gentiles. MATTHEW 25.33-34 The Blessed of The Father are those who Blessed His Jewish People. They too will inherit The Kingdom prepared for them from the foundation of the world. And they will receive Atonement for their sins when they see and receive The Messiah Yeshua sitting on His Throne of Glory. MATTHEW 25.35-39 These Gentiles inherit eternal life because they Blessed the Jewish people. MATTHEW 25.40 And The King, Messiah Yeshua will answer them, “Inasmuch as you have done it to one of the least of these My Brethren, you have done it unto Me”. Messiah Yeshua’s Brethren are the Jewish People. MATTHEW 1.1-6, etc. MATTHEW 25.41-45 The cursed are all the Gentiles who cursed the Jewish People. And there are many. Those who cursed the Jewish People will be sent into everlasting fire prepared for the devil and his angels. MATTHEW 25.46 Those who cursed the Jewish People will go away into everlasting punishment. But the Righteous, those who Blessed the Jewish People into Life Eternal. Posted on November 2, 2014 March 24, 2015 Categories Shabbat MessageLeave a comment on SINNING AGAINST THE LORD, AND ATONEMENT.